For men, it all boils down to sperm. Do they have enough? Can sperm swim to and attach/penetrate an egg? Is the DNA inside the sperm intact and normal? For women, it’s much more complicated. Because we do more of the heavy lifting in reproduction, we have more parts that can go “wonky”. So in the interest of fairness, I thought I would review some of the tests commonly used to diagnose female infertility, starting with measuring ovarian reserve. Most REs would probably not routinely test all their patients for ovarian reserve if they are under 35 years of age but premature ovarian failure can occur at any age. Ask your RE what he recommends for you based on your age and medical history. Ovarian Reserve. Unlike men, most scientific studies suggest that women have all the eggs we’ll ever have while still in our mother’s womb. In the years following birth and then puberty, we lose eggs through the natural processes of follicular atresia (a kind of programmed cell death in which immature follicles decline without ovulating an egg) and ovulation (the natural monthly release of eggs starting in puberty and ending at menopause). Some things can happen to accelerate this lifelong loss of eggs such as premature ovarian failure or cancer treatments, both can bring on menopause years earlier than the normal age of 50 years. Note that women are typically infertile- even while still menstruating occasionally- well before 50 years of age. Because this decline in egg number is a natural process of aging, dedicating oneself to a healthy lifestyle will not slow this natural loss of our ovarian reserve. However, smoking has been shown to accelerate the decline in ovarian reserve. Hormonal Regulation of the Ovary. The main four hormones that control the ovary are follicle stimulating hormone (FSH), luteinizing hormone (LH), estradiol (E2) and progesterone (P4). The ovary also produces other hormones such as relaxin and inhibin. In a normal menstrual cycle, the part of the brain called the hypothalmus secretes gonadotrophin releasing hormone (GnRH) which stimulates the production of FSH by the anterior pituitary, another gland in the brain. FSH, true to its name, stimulates immature ovarian follicles to grow and produce estradiol. Rising levels of estradiol in the blood stream signal back to the brain and encourage even more FSH production. Many follicles initially respond to the call of FSH, but in an unmedicated cycle, one (or possibly) two follicles may become dominant, shutting down the others. Medications taken for IVF overpower this natural down regulation and more follicles are recruited and maintained than normal. Rising estrogen levels eventually trigger a rise in LH levels which triggers ovulation. In an IVF cycle, natural LH is augmented by a “trigger shot” containing human chorionic gonadotropin (hCG), which is a similar molecule to LH. This rise in LH stimulates ovarian production of progesterone from the corpus luteum which is vital for maintaining pregnancy. The corpus luteum is a remodeled post-ovulation follicle that produces progesterone and maintains the pregnancy until the placenta is fully formed and able to take over progesterone production. hCG is naturally produced by the embryo- “Hey , Mom, I’m here! !”- and early placental cells to keep the corpus luteum alive and pumping out progesterone which conveniently prevents menstruation which would otherwise flush the implanting embryo away with the rest of the uterine lining.The point of this very abbreviated explanation of the menstrual cycle is that a normally functioning ovary has a predictable hormonal profile that can be analyzed by your RE to see if the ovary is still fully functional. FSH levels on day 3 of the menstrual cycle. As women age, the pituitary pumps out more FSH in an attempt to stimulate a sluggish ovary, resulting in abnormally elevated levels of FSH too early in the cycle. Normally, rising levels of E2 down regulate the FSH levels so they are very low early in the cycle, then rise as the cycle goes on. How high a FSH level on day 3 is too high? A cut-off around 15 is often used. FSH levels on day 3 above 15, and certainly above 20, are associated with very low conception rates. Some research suggests that this early rise in FSH is also associated with poor egg quality and even fetal abnormalities. Fluctuations in FSH levels tending toward the higher end of normal may signal the beginnings of menopausal decline in ovarian reserve. This is one of those topics that you should discuss in detail with your RE. Some REs will test on day 2 or day 4 or 5. Other RE’s will choose a different cut-off to make treatment decisions.Some REs like to look at the ratio of LH and FSH in addition to just FSH. Estradiol levels on day 3. Some REs like to look at estradiol levels in the first week of the cycle. Like FSH, estradiol should not be extremely elevated early in the cycle, normally, this occurs later in response to rising FSH levels. Estradiol levels below 75-80 pg/ml on day 3 and normal FSH levels were associated with higher conception rates than higher estradiol levels in when FSH was normal. High levels of estradiol too early in the cycle may suggest residual follicles or “cysts” persisting from the last cycle or it may suggest that the ovary is aging and less able to complete the normal feedback cycle that results in low estradiol levels early in the cycle. Inhibin B levels. Inhibin B, a protein produced by the granulosa cells in the ovary has also been used as an indicator of ovarian reserve. Inhibin B is typically produced by the ovulating ovary and not produced by the menopausal ovary. Therefore, declining levels of inhibin B may be associated with declining ovarian reserve. However, this test is controversial because normal and abnormal thresh holds are not well-established and some medical diagnosis like polycycstic ovarian syndrome (PCOS) may make results difficult to interpret. Anti-Mullerian Hormone (AMH), also referred to as the Mullerian-Inhibiting Substance (MIS) or Factor (MIF) levels. AMH is another ovarian hormone that has been suggested as a useful indicator of ovarian reserve, but is not widely embraced by all REs. Evaluating the functional response of the ovary to stimulation. The Clomiphene Citrate Challenge test (CCT) is one way to test whether the ovary will respond to a hormonal stimulation. The clomiphene citrate challenge test (CCCT) is performed by measuring the day 3 FSH and estradiol levels. A patient takes 100 mg of Clomid on cycle days 5-9, and her FSH is measured again on day 10. An abnormal result is if either the day 3 or day 10 FSH values are abnormally high or if the day 3 estradiol is greater than 80 pg/ml. This test is sometimes given to evaluate the likely response in anticipation of an IVF cycle. A poor response may indicate a high starting dose may be necessary or that IVF may be not worth trying because the chance of a successful stimulation is low. Like the tests for inhibin and MIS, there is differing opinions regarding the usefulness of these tests for predicting ovarian reserve. Talk to your RE about their experience with these tests. Ultrasound evaluation of ovaries. Another indication of ovarian reserve is the actual number (Antral Follicle Count) and size of follicles on “stand by” before you start a cycle. If very few small follicles are visible (for example, less than 4), your ovarian reserve is low and your probability of conception in that cycle, even with IVF stimulation, is low. Young women or egg donors might be expected to have 15 or more small follicles on each ovary before starting stimulation. Large ovarian cysts can also interfere with a good hormonal response and may be revealed by ultrasound imaging. A course of Lupron treatment or simply waiting out a natural cycle may resolve the cyst. The size of the whole ovary, also called ovarian volume, may also be an indication of declining ovarian reserve since ovaries tend to shrink as we age and our ovarian reserve declines. Unfortunately, there is no cure for diminished ovarian reserve. (Although as I discussed in a previous post, a recent rat study has opened up the theoretical possibility that embryonic stem cells may some day be used to replenish ovarian reserves). Currently, donor egg is the only IVF option available to women who have no functional ovarian reserve. Unfortunately, the ovarian biological clock is unforgiving and neither science or healthy living can turn back the clock. It is important to know where you stand regarding your ovarian reserve so that you don’t spend precious years on less effective treatments. Talk to your RE about ovarian reserve and which, if any, tests he recommends for you before suggesting a treatment plan. Can you tell if an egg is abnormal (fragile, abnormal/discolored cytoplasm, poor membrane integrity) before or after stripping (for ICSI)? I’ve read that glucophage can help poor quality eggs in IVF. Is that true? When poor quality eggs are unexpected, how much can be attributed to genes and how much to the stimulation cycle? Can you talk about natural (unstimulated) IVF cycles? We get our best look at the egg after the cumulus cells are stripped off. If the egg is overly mature, cumulus cells may slough off as we receive them at retrieval but usually we get our best look at the eggs when we manually strip the eggs in preparation for ICSI or after regular fertilization through insemination. All the things you describe, dark grainy coloration, broken zonas or ruptured membranes can be apparent when the cumulus are removed. Glucophage or Metformin is used by some physicians for women with PCOS to normalize their insulin levels so they can hopefully get a better stimulation and hopefully better quality eggs. This is not a medication used for all women with fertility issues. This is a good question for your doctor. Genes and stimulation can both be factors in poor egg quality, Teasing out which factor is the cause is not something that is readily obvious and may never be determined. This is also a very good question for your doctor. The merits of natural (unstimulated) IVF cycles for the patient is another question that is more appropriate for your reproductive endocrinologist. From the embryologist’s viewpoint, natural cycles can by definition only yield one or two eggs. IVF is a surgical procedure which entails risk and expense that may not be worth it if the lab can only work with such a small number of eggs. Your chance of successful pregnancy is diminished when you have only one or two eggs to start. Thanks for the response Carole. Are the cumulus cells stripped off for all ART procedures that involve egg retrieval? What additional steps does stripping for ICSI involve? Why can’t stripped eggs be fertilized with sperm by just incubation? Is there a better chance for a poor quality egg (discolored cytoplasm, membrane integrity, fragile) to fertilize with incubation rather than ICSI? Cumulus cells get stripped off at some point in an ART procedure but the time point is different depending on whether ICSI is ordered or regular insemination is ordered. If ICSI is ordered, freshly retrieved eggs are stripped, then injected later the same day. If traditional insemination is performed, processed sperm are incubated with eggs still cloaked in their cumulus cells. The cumulus cells are important in facilitating the final fertility preparedness steps that sperm need to bind and penetrate an egg. Without these steps, fertilization won’t work. With ICSI, sperm binding is bypassed and sperm are injected directly into the egg cell, so the work of the cumulus cells is not needed. A poor quality egg is unlikely to do well in either procedure. When I had my pretesting for IVF, I was 34 and after a clomid challenge test with a day 3 FSH of 10 and a day 10 of 14, I was told that I had little to no chance of IVF working. I had a AMH done a few months later which was .75. So I tried anyway and sure enough, cancelled cycle due to no response. I found a clinical trial in NY where they have women take DHEA and I decided I had nothing to lose so I followed what they did in the trial- 75mg per day and took it for around 8 months. My AFC went from 7 to 12, FSH went from 10 to 6 and AMH went from .75 to 2. Huge difference all the way around. Same flare protocol but this time with FSH and LH instead of FSH only and 23 eggs retrieved, 10 mature and 10 fertilized. So, I know that it seems like no hope when pretesting shows awful results and even after a failed/cancelled cycle, but DHEA worked a miracle for me and got me my son. Thanks for sharing your wonderful experience with DHEA. DHEA is a weak androgen and there may be a hormonal mechanism for ‘reawakening” the ovarian system. I was not familiar with DHEA treatment for ovarian reserve so I did a literature search and found that this is indeed a new area of study. There are other accounts like yours where women became pregnant using their own eggs after taking DHEA for a period of months. More clinics are starting clinical trials to determine whether all older women would benefit or just a subset of women. 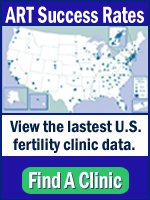 I found four clinical trials that are looking at DHEA for maternal ovarian reserve that are listed on Clinicaltrials.gov, a registry of clinical trials supported by either federal or private funds. The link to the page is http://clinicaltrials.gov/ct2/results?term=ovarian+reserve+and+DHEA. One of these four has stopped recruiting, two are recruiting now and one is not yet recruiting patients. If possible, enrolling in a trial is the safest course to try an unproven treatment because then you will be monitored for side effects. I just started IVF . I am 38. I was prescribed DHEA 25 milligrams three times a day . I always do my own research for side effects. I discovered that unlike CQ10, DHEA has many adverse effects for women. Hair loss is one of the most undesirable. However, there is the option of 7 Keto DHEA. This is another form of DHEA which states it will not grow beards on women or cause hair loss . It claims to be superior to the old DHEA. My question is will the 7 Keto DHEA have the same beneficial effect on the ovaries as regular old DHEA for low ovarian reserve? Thanks for your question. The short answer is that I would be very reluctant to use a modified DHEA. The very side effects you are trying to avoid (unwanted hair growth) is due to its effect as an androgen. It seems counter-intuitive but we now know that androgens are necessary for normal ovarian function. Androgens are converted to estrogen and may also have effects via other signalling pathways to regulate normal ovarian function. If the keto-DHEA doesn’t risk hair growth, it may be because it has no effective androgen properties- some of which you probably want for your ovaries. I could not find any research on keto -DHEA for ovarian function in the scientific literature and so have no basis to suggest it is okay to use. I would discuss this concern with your doctor. I would expect that any hair-related side effects would go away when the DHEA is discontinued–but please discuss this further with your doctor. Good Luck!! !